Back to school came early for the 50+ workshop attendees who ventured to a disused primary school in Deptford, South London, in August for the first-ever Registration Summer School, writes Anna Kealey. The unusual location, which may have conjured up dark schoolyard memories for some attendees, was fitting as the three-day workshop had an overarching theme of fear. The aim was to take designers out of their comfort zone with activities as varied as sensory deprivation drawing sessions, confessing deep-seated anxieties to a group of strangers and scary movie screenings. Designer Rejane Dal Bello’s visual identity for Dumbar Design College (DDC) designed at Studio Dumbar. 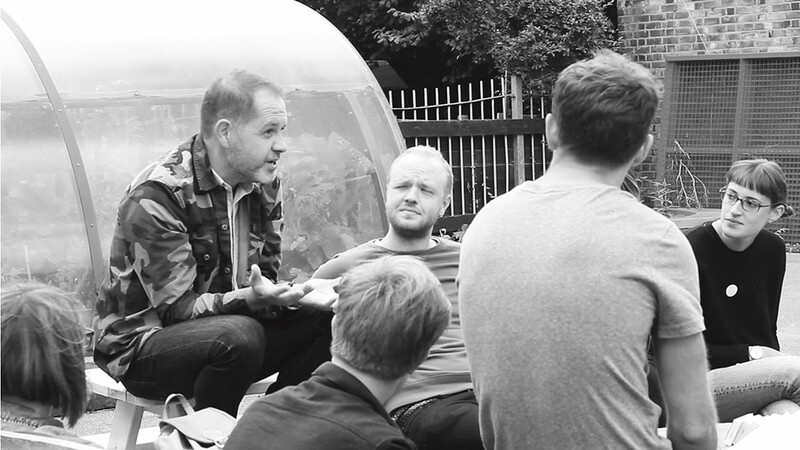 Top: Anthony Burrill guiding the conversation during his ‘design therapy workshop’. Photo by Matt Ashmore. 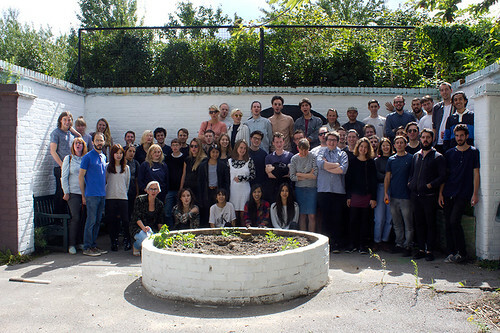 The Summer School attracted a diverse number of attendees, from established design directors to current students from Germany, Italy, Belgium and the UK. 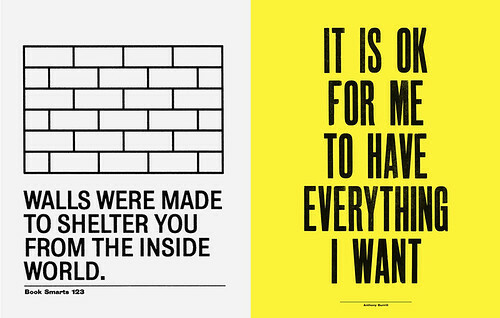 The line-up of speakers and collaborators included designer Anthony Burrill, illustrator Jiro Bevis, digital creative Mark Kremers and publishing house Hato Press. 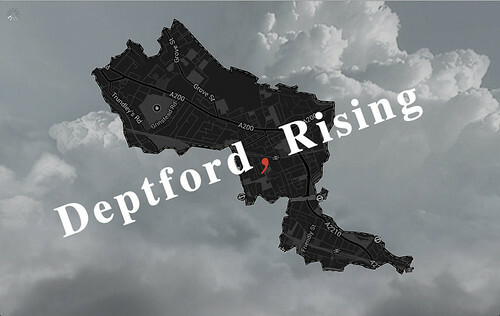 Most of the multi-disciplinary workshops took a craft-based approach to design, but Marc Kremers, with the help of the workshop participants, created a sleek website called Deptford Rising – a response to his ‘fear of gentrification’. 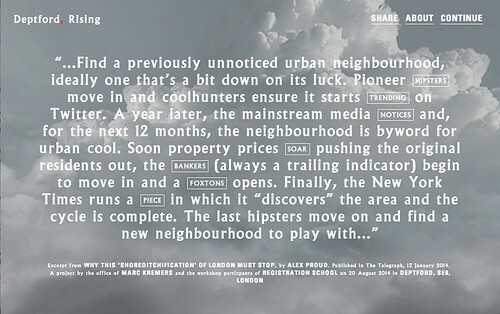 The Deptford Rising website by Marc Kremers. 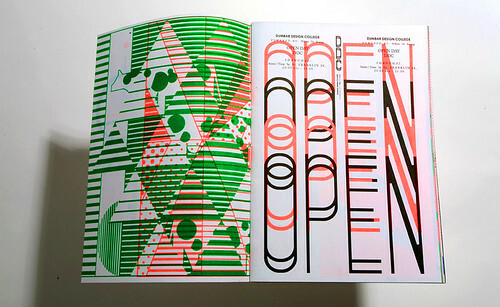 Page from Deptford Rising website designed Marc Kremers with the help of workshop attendees at Registration School. 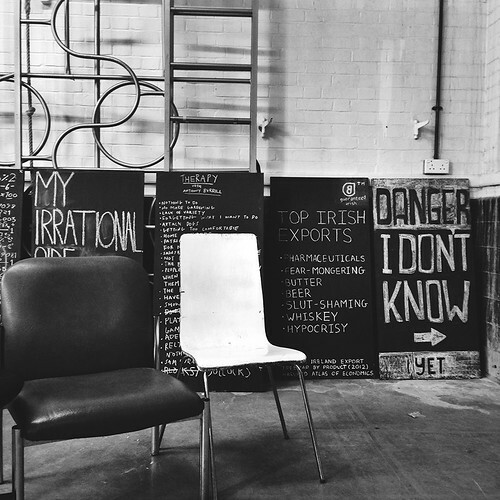 Blackboard posters from Anthony Burrill’s workshop. Photo by Matt Ashmore. Pau Sampera’s session explored an anxiety held by many designers – surrendering control of your work to external factors such as foreign producers, print houses, Internet Explorer, etc. – and focused on generative design methods. 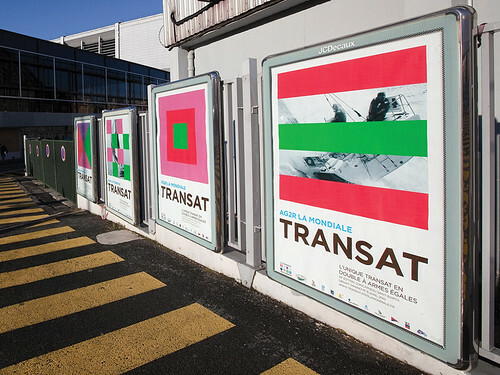 Rene Dal Bello’s Ag2r La Mondiale – Transat posters designed at Studio Dumbar. Akshitha Chrisanthiya and Hector Plimmerat experiment with ‘sensory deprivation’ drawing at the Studio Hato workshop. Photo by Matt Ashmore. Another lively and informative speaker from day three was physiologist Richard Firth-Godbehere, who spoke about cognitive theories of emotions. Overall, the workshops were successfully curated in a way that allowed the theme of fear to be confronted by its participants, from implicit to more esoteric explorations of the subject. The 2014 Registration Summer School came to an end with an exhibition in the Old Tidemill School playground and gardens on the Thursday evening. The organisers – young designers Ross Bennett, Andrew Thorpe, Callum Copley and Myles Palmer – should have no fear that their summer school will only get better in the coming years. Class of 2014 group photo, taken by Matt Ashmore.